This series was inspired by David Hockney’s photomontages. 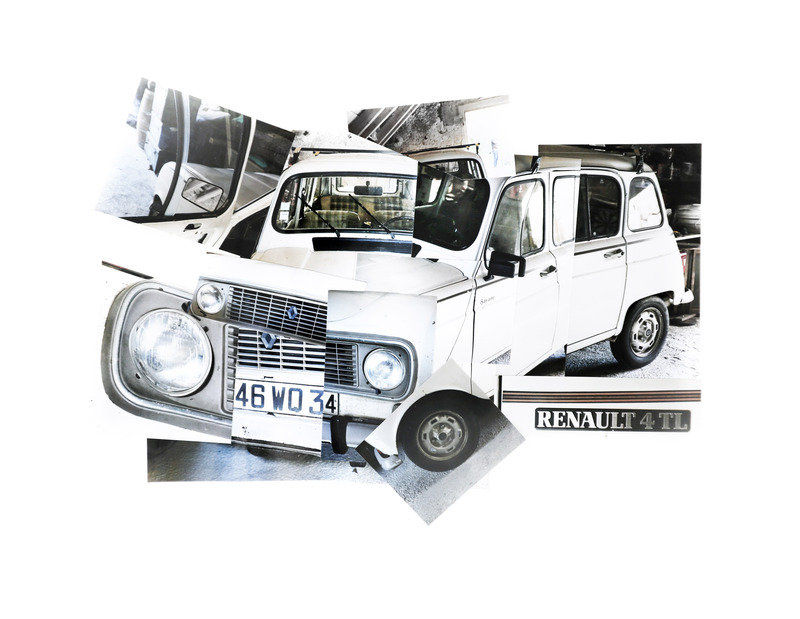 As we were leaving our rented home in southern France in early 2017, I went into the first floor wine-makers garage where my husbands’ Renault-4L was stowed away awaiting our next visit. I quickly snapped about 100 images of the parked vehicle from different angles, knowing I would want to try photomontage as one of my collage series. Here are six takes, all using the same pile of 100 photos. Photomontage dates back to the mid-Victorian era. So although he didn’t invent the idea, he definitely popularized it. I think every modern day photographer (myself included) goes through a Hockney photomontage phase. I, myself, have gone in and out of the phase at least three times. It seems, every ten years I feel the need to try it again. After this most recent effort with this form of collage, I feel it is a bit like cooking—where early results are often good, or certainly good enough, but that repeatedly exceptional results takes years of practice.